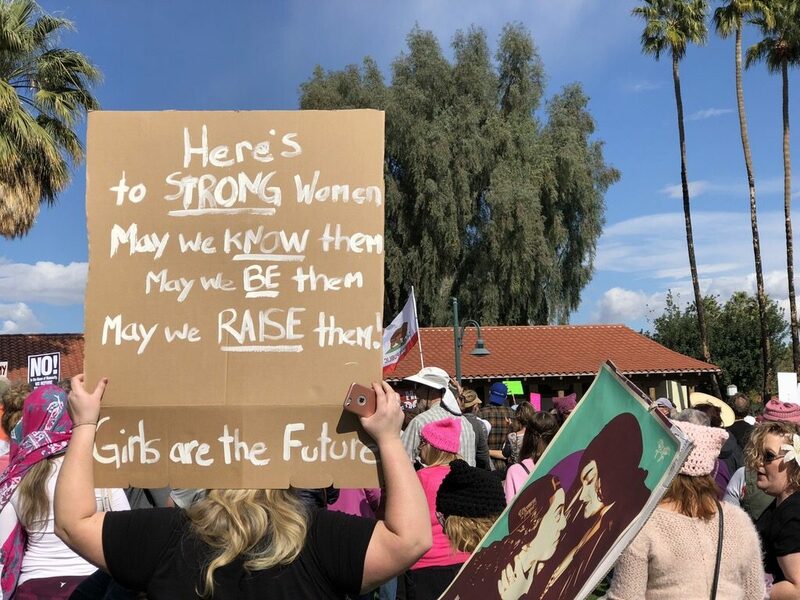 On Jan. 20, the second annual Women’s March was organized by former Senator Barbara Boxer’s PAC for a Change in the city of Palm Springs. The event started at 11:30 a.m. at Frances Stevens Park to commemorate the one-year anniversary of the first Women’s March observed throughout various cities in the country. In 2017, attendance totaled to around one thousand people, with even more supporters participating in this year’s march. Various state and local officials spoke at the event, including Boxer, Supervisor Manuel Perez, Assemblymember Eduardo Garcia and two council members for the city of Palm Springs–Christy Holstege and Lisa Middleton. Several buses in Palm Springs also transported attendees to the Los Angeles Women’s March earlier that same morning. The LA event was held at Pershing Square and organized by the Women’s March LA Foundation. Originally spurred as an act of protest against the inauguration of Donald Trump, the Women’s March serves as a way to encourage female empowerment in the face of an oppressive society. In addition to women’s rights, attendees also march in support of other minority groups in need of equal representation such as the LGBT community and immigrants. Over 200,000 people registered to march in the LA rally while an estimated 500,000 attended to show their support. Celebrities such as Scarlett Johansson, Natalie Portman and Viola Davis also spoke at the event, recounting past instances of oppression and objectification to encourage others to join in the cause.